Vouchers are also like coupons, intended to promote sales. 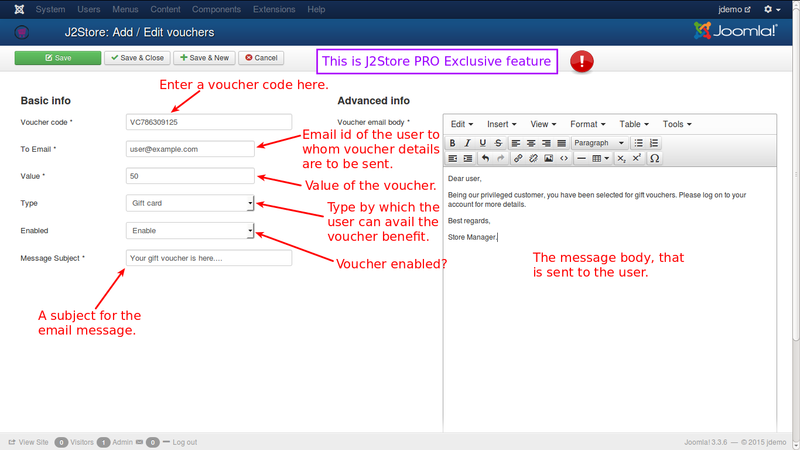 Vouchers are sent to customers by email with offers. Vouchers contain Basic and advanced information entries. Voucher Code - Enter a unique voucher code. Type - type of voucher like gift card, etc. Voucher email body - the text body of the email sent along with voucher to the customer. A rich text editor is available to add the text with necessary formatting.